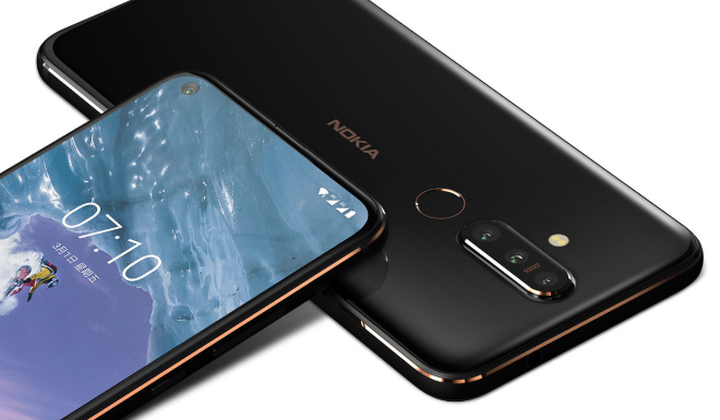 Nokia X71 Debut as First Nokia Phone with Punch-Hole Screen and Three Rear Cameras - Playfuldroid! The Nokia X71 smartphone has been officially unveiled in Taiwan. Its arrived as the first Nokia phone ever to feature a punch-hole display and a triple camera module. The handset has arrived with a price tag of 11,990 NTD ($388). The smartphone will be hitting the Taiwanese markets from April 10. Currently, the company is receiving the reservations of the smartphone. The Nokia X71 comes with a 6.39-inch IPS LCD PureView Display that offers full HD+ resolution. The smartphone offers an aspect ratio of 19.3:9 and 93 percent screen-to-body ratio. The smartphone boasts a premium appeal with dual-sided 2.5D glass panels and aluminum frame. The Snapdragon 660 SoC drives the Nokia X71 smartphone with 6 GB of RAM. For storage, the handset is equipped with 128 GB inbuilt capacity and a memory expansion slot. The Nokia X71 is an Android One phone that runs on the stock version of Android 9 Pie OS. It is packed with a 3,500mAh battery that supports 18W fast charging. The Nokia X71 has a triple camera setup on its rear. It includes a 48-megapixel ZEISS lens with f/1.8 aperture, an f/2.4 aperture 5-megapixel and a 120-degee ultra wide-angle lens of 8-megapixel. The display hole houses an f/2.0 aperture 16-megpixel selfie camera. The other features that are packed in the phone include fingerprint reader, OZO sound technology, 3.5mm headphone jack, dual 4G VoLTE, Wi-Fi 802.11ac, Bluetooth, USB-C and GPS.